What is it about having a fresh, brand new year that just makes you want to start things off new? If you are looking for new ways to make money in the New Year, you might want to look into learning how to sell scrap metal in Westport as a means of boosting your monthly income. While scrapping can become a full time job, it doesn’t have to be. Knowing the insider tips and tricks on where to find valuable metals can help you increase your earnings without having to dedicate a lot of time to collecting scrap metal on a daily basis. 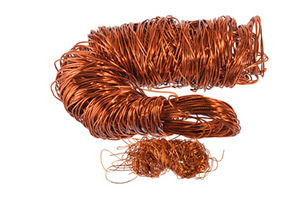 Copper is one of the most valuable metals that is being readily recycled by scrap metal collectors today. Unfortunately, because of its high value, there is a lot of copper theft going on right here in the northeastern states and all across our nation. Before you do anything else you need to learn how to protect yourself as a scrapper. If you find or receive any copper from a contractor, store owner or anyone else, ask for a receipt. This is by far one of the most valuable copper recycling tips. Having a receipt can help you keep track of where to find scrap copper in the future and help you prove where you received it just in case you need to trace back your steps. You can carry a receipt book with you in your truck just in case the person that gives you the scrap copper doesn’t have a receipt or something to write on. It can be a very valuable tool that could save you from getting in trouble with the law if anyone were to question where you went to find scrap copper for recycling. Making friends who work with valuable metals on a regular basis can be the best way for you to profit from collecting scrap metal. Setting up a regular route that takes you from various contractors, store owners, repair shops and other professionals that allow you to collect and sell scrap metal in Westport is the key to your success. Keep a list of your regular stops and make sure to ask the shop owner if there is a time of the week or month that is better for them for you to stop in and pick up the scrap metal from their shop. Computer repair shops, auto repair shops, appliance repair shops – all of these professions have access to a variety of scrap metals, including scrap copper – and many of them simply don’t have the time or inclination to spend time collecting scrap metal themselves. Even if they say no, it doesn’t hurt to go shop to shop and ask about stopping in to collect any scrap metal that they have accumulated on a weekly or monthly basis. Once you build relationships you can even ask for referrals. Have self-made business cards ready so your contacts can call you if they have extra items they want picked up in a hurry so you won’t miss out on the opportunity. You can increase the amount of items that you are able to collect and sell as scrap metal in Westport if you can increase your visibility within the community. As soon as people start learning that you are willing to pick-up old appliances, sinks, fixtures and other items that aren’t able to go on the curb for weekly trash pick-up, they will start calling you. They will also tell their friends that so-and-so has a truck and will pick up old air-conditioners or what-not, helping to boost your reputation within the area. You can also advertise and post your interest in collecting scrap metal on websites like Craigslist. Local advertising in the Penny Saver, area newspaper, community bulletin or anywhere else that you can get your name, contact information and willingness to collect scrap metal and old appliances will help. You don’t have to invest a lot of time and money into this. Post a new Craigslist ad once a week, taking care to remove your old one so you don’t get in trouble for spamming, and you will quickly learn where to find scrap copper, aluminum, steel and other metals locally without having to go out and actively search. Check with your local laws to find out about the legality of picking up items from the trash that are left out in residential areas on the curb. Different cities and towns have different rules and regulations about picking from the trash. So even if you see an awesome stainless steel sink sitting on the curb, you might want to think twice about picking it up until you know about those rules. Some pickers simply knock on the door and ask the homeowner permission to take the discarded items and get a receipt for doing so, just in case. You can leave a business card behind and offer to pick future items up for free. Even if curbside picking is allowed in your area and you are sure it won’t be a problem, make sure to be a professional. When you go through someone’s trash be neat about it. Make sure that your truck is clean and professional looking so you don’t make a negative impression. Use a tarp or other type of cover to protect and hide your other scrapping finds while you are out collecting scrap metal. Not only will it make you look more professional, but there may be laws against driving around with a truck full of junk like that as well. Knowing your local laws can help keep you out of a bind in the future that could cost a lot. Where Can You Sell Scrap Metal in Westport? If you live in the Southeastern Massachusetts or Rhode Island area, you can bring your items and sell scrap metal in Westport at Mid City Scrap Iron & Salvage. Mid City Scrap has been in the scrap metal recycling business for over 80 years. It is a family owned and operated business. So when you figure out where to find scrap copper and begin collecting scrap metal on a regular basis in your area, come to Mid City Scrap to sell your items. Not only will you get the best prices for copper in the region, but you will also get top dollar for your other scrap metal finds as well. Call or visit Mid City Scrap today to find out more about our location and hours of operation. ← The Scoop: Is Scrapping Legal in Southeastern Massachusetts?